The Rapha Prestige is not a race; it’s an unsupported and unmarshalled adventure across stunning terrain. Designed to bring out the camaraderie and suffering of road riding, the rules are simple, and the course is tough. Team members must ride – and finish – together. On Saturday 15th August, up to 20 teams of four will embark on a 115km adventure with 3,400m of elevation, journeying through the island’s beautiful towns, winding coastal roads and forgotten plantation routes. The ride, though filled with beauty, is tough, and filled with terrain sure to challenge the toughest of teams. Submit your team before 17th July to apply to ride. The full route will be revealed to confirmed participants 48 hours before the ride. Known as the ‘Pearl of the Orient,’ the island of Penang is famous for its fusion of east and west, new and old, with a landscape brimming with tradition, culture and amazing local cuisine. The island also features some incredible riding terrain – snaking coastal roads, beautiful climbs through local farms, and steep pitches that run through forgotten plantation routes – all of which feature in the Rapha Prestige Penang. The route will take riders through Penang’s beautiful towns, charming colonial estates, and beautiful hilly plantations. Although scenic riding awaits, riders will be challenged by steep climbs on roads less ridden. Taking in views of the Air Itam dam and the Kek Lok Si Temple before descending into the busy town below, you’ll traverse the western side of the island to meet the Jalan Tun Sardon climb, a staple of the local road races. The full route will be made available to confirmed participants 48 hours before the ride. Road helmets and drop bars. No TT helmets or TT bars. We’d recommend 25mm tires for extra resilience against punctures. We strongly recommend teams use wheels with aluminium brake tracks with clincher tyres. A wide range cassette or even a compact chain set is recommended but not compulsory. Teams must carry their own spares (tubes, tires, nutrition, etc.) and be completely self-sufficient. Up to 20 teams of four riders will be confirmed. Teams can be mixed gender and contain both RCC and non-RCC members. Two to three teams will be reserved exclusively for RCC-only member teams. If applying as an RCC-only team, please ensure the ‘Are you a member of the RCC?’ tick box is checked for all members. 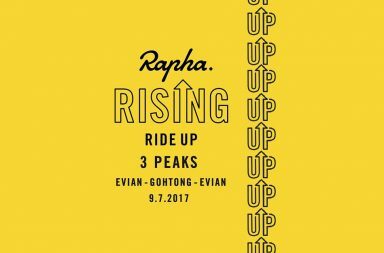 All team selections are at the discretion of Rapha Asia. US$100.00 per team plus an after-party contribution of either a case of beer or a bottle of champagne. 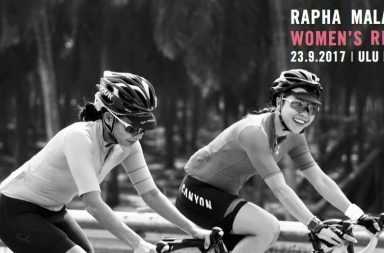 Once your application has been accepted, Rapha Asia will be in touch for you to make entry payment. A payment link will be supplied to confirmed teams on or after Tuesday July 21st. The closing date for applications is Friday 17th July. 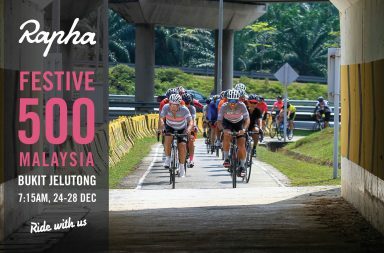 Rapha Asia will contact confirmed teams directly on or before Tuesday 21st July. Payment of the entry fee in full is required within 48 hours of notification of acceptance. This fee is non refundable. Click here to register or for more info.